There exists a prejudice against the term ‘freelancer’. Many consider it a synonym for a college student who cant hold traditional office hours or a person who can’t adjust to a corporate environment. As technology grows it offers unlimited options to people who for some reason are unable to step out of the door. Blockchain on the other hand is a decentralized technology which has disrupted many industries. But, for it to function, it needs freelancers who not only know about the technology but also offer knowledge of computing languages and mathematics. Lack of trust in a new client : Unknown clients can abscond once their work is transfer to them without paying the remittance that is due. Lack of Marketing Skills: Many new freelancers face a crucial problem. They do not have the means nor the knowledge on how to market their services to potential clients. Maintaining Deadlines: many a times the clients throws in outrageous deadlines which can’t be met. The freelancer needs to know their strengths to know beforehand if a deadline can be met or no. Software and Hardware: As one starts up a new service there may be a lack of required Software or Hardware in regards to your client’s needs. Lack of trust in a new client : It doesn’t matter if the client is unknown. Any transaction is secured with the help of a ‘Smart Contracts’. If one party renegades the transaction immediately gets noted on his Block and shall has future ramifications. Lack of Marketing Skills: There is no need to market yourself. Once you have run a transaction successfully on the Blockchain, then your work begins to speak for itself. New clients shall see your past work every time they access the Blockchain. Software and Hardware: No software is required as such. All you need is your brains and a supercomputing hardware program and more RAM attached to your PC. This can be acquired easily from your computer engineer. 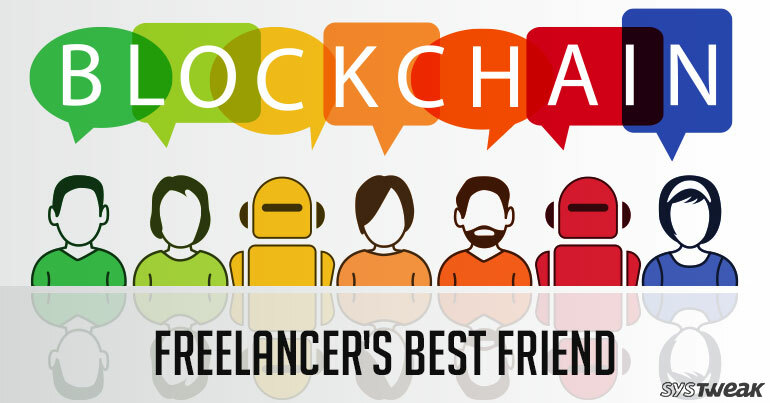 Now that we have cleared the doubts, in regards to working as a freelancer on Blockchain Technology, let us shift our focus on to the platforms who are looking to hiring freelancers for the same. There you have it folks. Blockchain technology has something to offer everyone. Be it in the education sector or the government. It is here to disrupt till the time it becomes the norm. Freelancers rejoice, your time has come!